Looking at Calgary houses for sale? There is a vibrant community on the rise in the Southeast quadrant of Calgary, Alberta. Having arrived in the summer of 2018, Copperstone is located in the award-winning community of Copperfield. 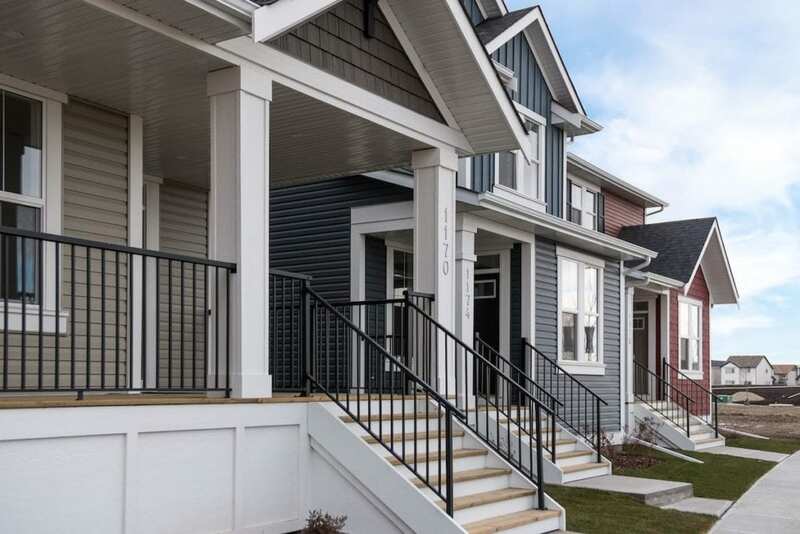 With a multitude of Calgary houses for sale, it offers a variety of housing options sure to fit the needs of everyone, from families to hard working professionals. This community provides its homeowners a unique build experience that prioritizes you, along with access to amenities that make life easier and bring people together. There are many personal desires to consider when looking at Calgary houses for sale. Are you dreaming of a front porch for family socializing, or perhaps a bonus room to transform into your own home office? Regardless of where you are at or what you are looking for, Copperstone has housing possibilities to fulfill every stage of your life as you grow through it. With three options ranging from city savvy Townhomes to Single Family Lane Homes, Copperstone gives you a brand new space to thrive in. Two car attached garages and bonus parking easily accommodates and encourages your active lifestyle, while master suites offer a quiet haven to unwind in. If you are looking for more space for your growing family, the open concept of Copperstone homes makes them feel vast and great but alleviate the stress of maintaining a large space. Nobody moves into their dream home anticipating the growl and grind of construction while they try to enjoy their morning coffee. Copperstone builds their homes street by street, so you can move into your new home with confidence that your street is finished. No exceptions. No more yelling at each other over the sound of electric drills. No more dodging bobcats and cement trucks to start your morning commute. When you move into a house in Copperstone your street is quiet and quaint, just like your new home. The community you move into should reflect the life you strive to lead. You want a community that can give you an abundance of exciting opportunities, both now and in the future. In the award-winning community of Copperfield, you have access to all of this and more. The neighbourhoods are brimming with parks and playgrounds, so you will want nothing more than to get outside and fulfill your active lifestyle goals. You will never be at a loss for activities with Sikome Lake and the South Trail Crossing Shopping Centre a stone’s throw away. When you yearn for adventure outside of the community, easy access to Stoney Trail and Deerfoot guarantee you a worry free commute and pain free travel to the mountains. No matter your budget or circumstance, Copperstone in Copperfield has a home for you. 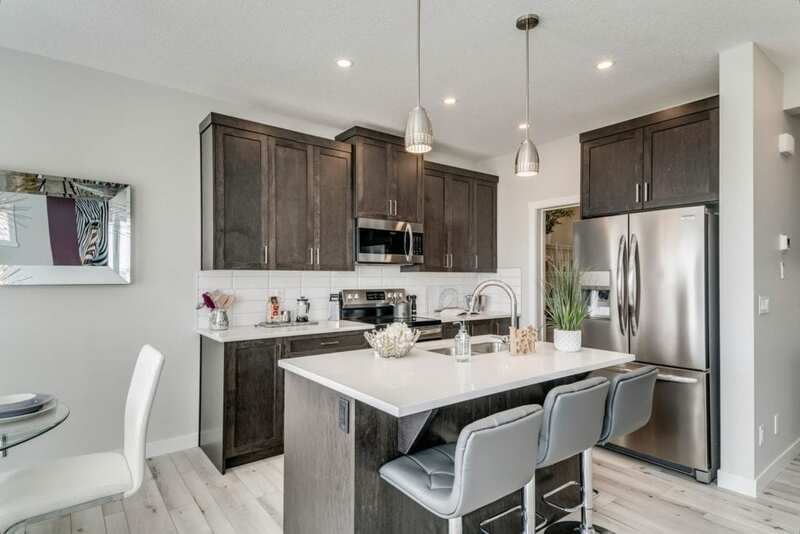 With a diverse range of housing options, a unique building process, and ample community amenities, Copperstone provides great value for buyers looking at Calgary houses for sale. For a community that allows you to create the life you envision, choose Copperstone.